The Lucky Millinder Orchestra was one of the most popular R&B based bands during the immediate post war years. Lucky was typical of many bandleaders of the time who played no instrument and could not read music, but compensated for all of this by putting together a big band that featured some of the all-time Jazz greats and also several vocalists who went on to substantial solo fame . 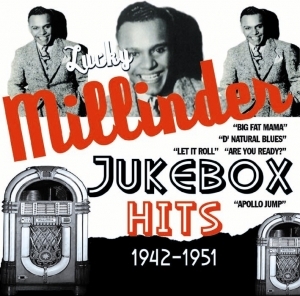 These then are Lucky Millinder’s greatest Jukebox Hits.